Quickest Mechanical Seal Replacement in the Industry. When it’s time to replace your mechanical seal, nothing is easier than a Jensen Mixer. We’ve earned the nickname of ‘mechanic’s friend’ because of our unique quick-change mechanical seal system that can be completed in less than thirty minutes. The Jensen Mixers Series 600 Seal is the Type “F”. The Type F Mechanical Seal is an integral part of every Series 600 Mixer. It is designed for long life at low cost. Materials of construction were especially selected to suit petroleum applications. If seal replacement is necessary, wearing parts may be purchased separately, cutting replacement cost in half. 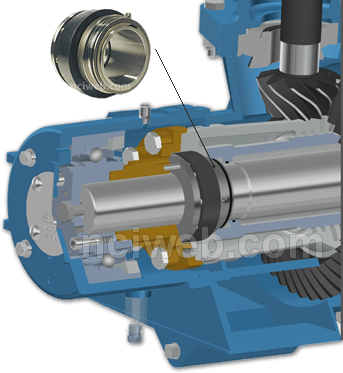 When the Mechanical Seal is replaced, the shaft is sealed at two points. In addition to the locking seal an O-Ring Seal just inboard from the seal is engaged. This minimizes product loss during seal change and acts as a backup for the main locking seal. 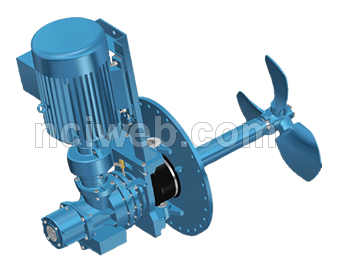 The Mechanical seal area is completely enclosed for protection from rain, dust, freezing temperatures and other undesirable conditions. A drain hole is provided for seal leak detection. Should complete seal failure occur, product loss is restricted by the shaft end bearing and by two additional close clearance rings.